Heart racing and fists shaking, I stood ready to fight. I was moments away from sparring with the top student in my karate class in Japan: a fast, coordinated monster who had defeated all challengers. But nanoseconds before the fight began, something shifted. Nervous anticipation disappeared and I snapped into total focus. The room, the other students, and everything else faded into irrelevance, leaving my awareness filled only with my opponent in his white gi. When the coach shouted, “Go!,” my body shot through the air like a lightning bolt, my fist connecting to my opponent’s ribs. Somehow I had scored a point against the best in the class, but paradoxically I didn’t care. All that mattered in that moment was that timeless flash when there was no sense of self, no me, just a body effortlessly flying through space toward the inevitable goal. That moment of flow remains one of the most powerful and beautiful things I have ever experienced. 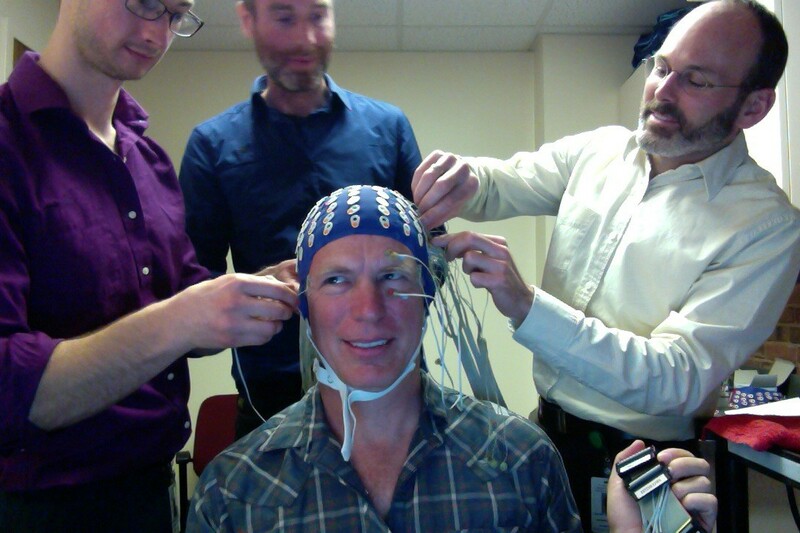 Which is why, 25 years later, I find myself sitting in a tight blue cap with a 120 electrical leads wired to my head, while four scientists of the Therapeutic Neuroscience Lab scurry around me tweaking knobs, rattling keyboards, and testing gear. The clues these scientists hope to uncover are small steps in a massive project that could forever change the way we cure addiction, treat anxiety and depression, and even teach meditation—eventually making the flow state easily available to everyone, with potentially world-changing ramifications for the human race. 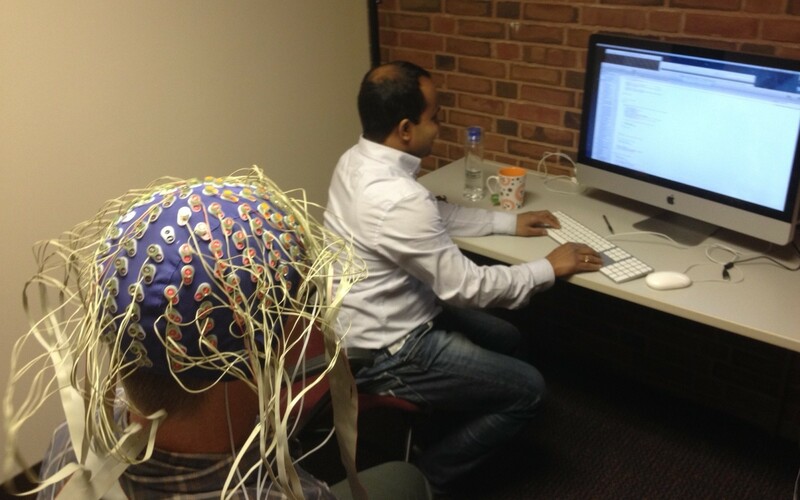 I’m playing the role of lab rat in a groundbreaking test intended to teach us how to find that same state of flow on call using real time EEG brain scanning, state of the art signal processing, and theories from psychology, neuroscience, and Eastern religion. Those are the stakes, but getting there won’t be easy. “Flow” means to be fully absorbed in an activity to the point of losing yourself in the joy that comes with doing it. Though it was first clinically defined by Czech psychologist Mihaly Csikszentmihalyi (Chik-zent-mee-hi) in the 1970s, we have known about the flow state for millennia. There is a wealth of colloquial terms we use to talk about flow: being in the zone, on a roll, in the moment, in a groove, in tune, on fire, centered, in the now. Flow feels good—smooth, masterful, concentrated calm—and at its peak, it can be intensely pleasurable. Flow is also associated with the highest levels of human functioning and achievement. Top athletes and musicians, and even hackers, stockbrokers, and poker players all report taking advantage of this condition of peak performance, focus, and clarity. So why can’t we be in a flow state all the time?